Now you can show people your Melting Earth T-Shirt and make them think about global warming. This t-shirt is available in styles for both men and women and comes in black and light grey and in sizes Small – 6XL. 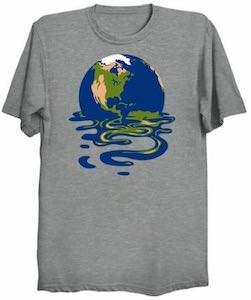 On this t-shirt you can find planet earth but it is not in a great shape as it seems to be melting as there is even water just floating away from it because the ice caps melted. If you like people around you to realize a little bit more often about what is happening to our world then showing off you global warming t-shirt so that we all start thinking and make help to change. This t-shirt is for all those people the like planes and flying. 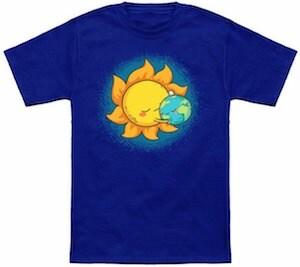 On the t-shirt you can see the earth in the middle and around it is an airplane flying. A t-shirt like this would be perfect if you are going to do a trip around the world or just if you like planes and holidays . The t-shirt comes in many colors, sizes and styles for both men and women that like great looking fashion. 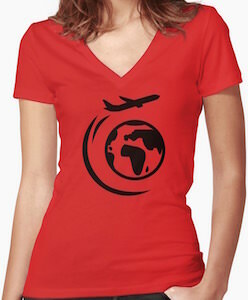 I always like planes and now we can al wear a t-shirt that has one on it while doing it’s job flying around the world. Every year that comes around and we celebrate the holiday season of Christmas I wonder if the other planets are also doing the same, if so then I think they would make sweet Christmas tree ornaments and decorations. 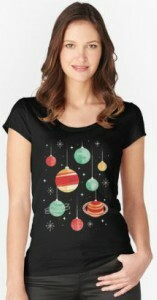 This is a t-shirt that features eight planets on the front each with a string attached looking like they are ready to hang on your Christmas tree. In the background you see a galaxy system full of stars and some stars look an awful lot like snowflakes. This is a women’s fitted scoop neck t-shirt that is available in a wide selection of sizes that range from XS to XL and it is made from 100% cotton giving you that perfect go to shirt that is both durable and comfortable. Oh Pluto you will forever be a planet, we will not forget. 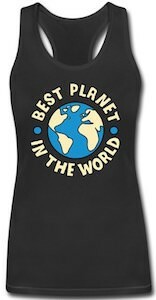 On the front of this t-shirt find the great saying of “Back In My Day We Had Nine Planets.” along with a diagram of all nine planets with their names. 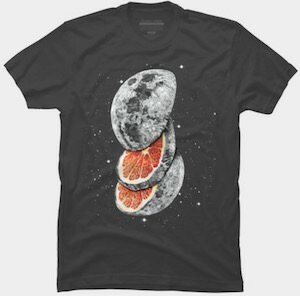 The fun and true space t-shirt is available in a wide selection of sizes that range from Small to 4XL and it is made from 100% cotton to give you a very soft feel while also super durable to give you a long lasting tee. Also check out the hoodie and women’s fitted shirts you can get this print on. 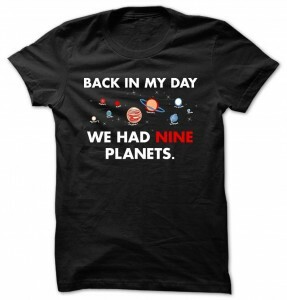 Wear history with the Space Back In My Day We Had Nine Planets T-Shirt. 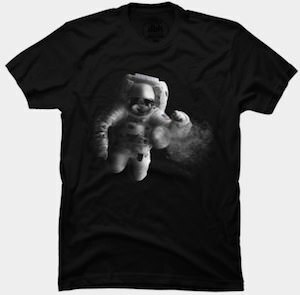 This t-shirt shows an astronaut flying in space and he does this on an amazing shirt. And this shirt comes in a men and women’s version in a range of sizes and colors. 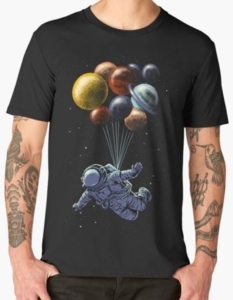 And this astronaut is flying around some tiny planets and as his arm is so strong he can just hit one and it falls apart into dust and that is what you see happen on this t-shirt. 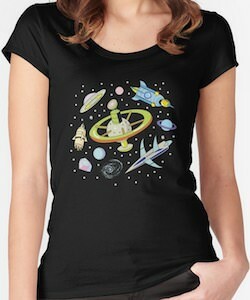 If men in spacesuits is you thing then this astronaut shirt should be one to look at. It has amazing details just like the whole scene is happening on your chest. Come and take a much better look at this Armstrong Astronaut T-Shirt.